1. Given that you’re eligible to play in the USDGC, is it hard to resist the urge to try to play and commentate at the USDGC? It’s always difficult to resist the urge of playing a tournament especially when you’ve been playing for as long as I have. A tough situation when you’re on location with all of other players and the action happening around you, it always provides an awesome energy that that seems drive me. The USDGC is one of the premier events that sets the standard for the professional organization of a world-class event, a tournament that makes the players feel like true professionals in the sport. I’ve had some incredible finishes here over the years with a pair of 2nd place finishes in back-to-back seasons in 2007 and 2008. I play good on this style of course as really fits my game with the good mix of challenging Par 4’s and some open holes with room to really air out some drives. But during the final round of last year’s event, it truly felt like my last round on the Winthrop Gold Course. I was one of eight players to shoot under par that round in the rain but I felt it in my heart that it was my last go on this track and I’m fine with that. Even though I qualified for this year’s USDGC, it’s just special being here again. I recently realized that the thing that I’ll miss most is something that I’ve grown accustom to over the past 15-years of competing at this event starting from a rookie pro to becoming a veteran World Champion. I will truly miss the is the sound of Andy Green’s voice making the teetime announcements, calling out my name and accolades, that always inspired me at the beginning of every round at the USDGC. 2. What are all of your commentating duties? At DGWT events, I’ve seen you do live commentating on the course on DGWT’s Facebook page. And I’ve seen you commentate for the post round wrap up shows. I’ve done a variety of media duties at the Disc Golf World Tour Events from live commentary to post round commentary to wrap-up/highlight shows. I’ve also done lots of pre-round and post-round interviews with the players. On the social media side, I have done lots of Instagram Videos with Janne Lahtinen and Hannu Hentilä along with some very popular Facebook Live sessions that have peaked over four thousand viewers at once during some of the Final Rounds in Europe. I have always respected those that do sports commentary and the professionals that do it for a living are outstanding. It also looks a lot easier than it actually is. I think that I do a pretty good job at describing the action and making the viewers feel like they are on location enjoying the round themselves. I do my best to use my experience in the game throughout my 18-year professional career, I also try to utilize my personal relationship with the players that are my close friends and many that were my competitors not too long ago. 3. When you do live commentating during the round, is it for the entire round or for a few holes at a time? 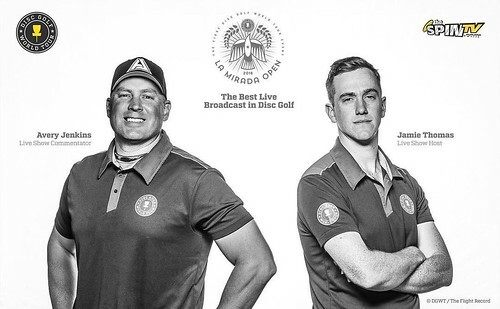 The fist live commentary that we did for the 1st Disc Golf World Tour Event – The La Mirada Open with Jamie Thomas proved to be a very demanding gig especially during our fist attempt in the down pour rain. We did live coverage for the final two rounds of the event and I think that overall it turned out pretty good but we’re always looking to improve on many levels. 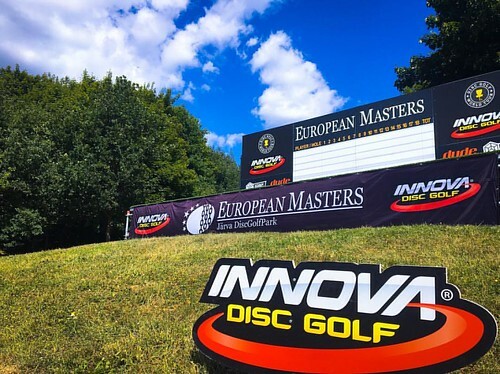 I’ve been doing a lot of Facebook Live broadcast at the last three European Disc Golf World Tour Events and they have been very successful in viewer numbers and spectator engagement. It’s a very casual form of doing live commentary that allows me to do a more of a free-flow broadcast jumping around the course talking with players and showcasing sponsors of the tournaments. As much as everyone wants to see live broadcasting at all of our biggest Disc Golf Events, they never realize the overwhelming cost of putting together such a production with very little return in the amount of viewers that watch the show. It’s unfortunate there aren’t more players, fans and spectators watching but it’s the reality as our sport continues to grow. I can see Professional Live Broadcasts becoming more frequent at the Disc Golf World Tour Events because we want to bring our audience the very best! 4. What’s your approach to commentating? I try to create excitement of the action and relay that energy into the coverage. I think that spectators what to know as much as possible about the matchup on the card, the battle between the players, the history of the course and/or event aside from the obvious action on the course. These are things that are very important to me when watching other sports, I’m a numbers guy and I absolutely love to hear about the relative stats. I have to be very versatile as a sports commentator doing play-by-play to player interviews to doing live broadcasting, those are all very different styles. As a player, I try to utilize my personal understanding of the situation at the event and set the stage for the drama that will expectedly unfold. We discuss a lot about the breakdown of the story being told at each event. Jussi Meresmaa and I sit down before the start of each tournament day to analyze the battle that is taking place and try to visualize the narrative as it presents itself. There’s always some incredible suspense coming down the stretch and we want to be able to capture that amazing moment, that’s what the viewers really want. 4b. What are some examples of how you can tap into your many years of pro playing experience while commentating? My Disc Golf Experience allows me to describe the situation and quite possibly the current emotion level that the player might be dealing with at the moment being that I’ve been in those positions many times throughout my career. These moments are very relatable in Disc Golf and many other professional sports as well. I’ve played all of these events throughout the world for over a decade, I realize the toll that it takes on the player trying to adjust to the time change and different environments. It can be very overwhelming at times but it’s interesting to see how these players can acclimate to these changes and preform at the highest levels. I want to use my experience as a player to not only bring spectators the tournament action but to also describe certain observances of the players based on their finishes at other tournaments leading up to the event and possibly their current approach on how they plan to attack the course. These are the interesting things in sports that can’t be seen but only reported on by those that have the inside knowledge, that’s the stuff that I personally find the most intriguing and what I really want to bring that into my commentating. 5. What’s it like to be a part of the media instead of playing in the event? It’s very different but I really like it! It’s something that I never really thought of doing but a role that definitely fits my personality and current position within the sport. It’s actually easier being a player as you are just responsible for your round of play, the pressures of each situation on the course and it’s only demanding for a few hours per day. Whereas, the media side has a lot more responsibility, not just for ourselves but for the entire production as a whole. We need to preform at a very high level being very critical of our work and working some late hours long after the players have left the course. 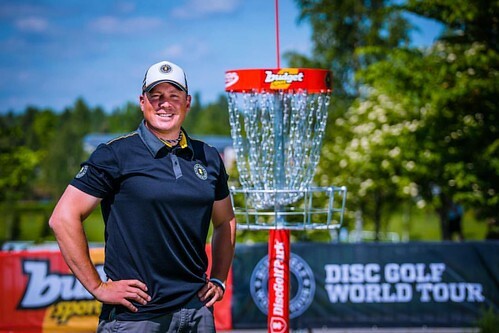 It’s a very different kind of pressure but we expect the very best at these Disc Golf World Tour Events. The Disc Golf World Tour Media Team is the best in the sport and that’s because everyone that is a part of the crew is a true professional in what they do. Jussi Meresmaa, Janne Lahtinen, Esa Arokki, Hannu Hentila, Jukka Teras and Jamie Thomas are a huge reason for the overall success of the tour, I’m very honored to be associated and working with such talented individuals. As much as I’ve tried to progress the sport over the years as a player, I feel that I have almost a greater effect by helping to broadcast the sport to the masses and truly grow the sport on another level. Check out Jenkins in action during a lead up video to the USDGC.